It was a slower-than-expected deadline day for the Vancouver Canucks. The team laid rather dormant, making just two trades. Out are winger Thomas Vanek and minor leaguer Philip Holm, and in are Tyler Motte, Jussi Jokinen, and Brandon Leipsic. Though moves were made, it seems as though Jim Benning could have done more to build for the future by acquiring more draft picks in exchange for the Canucks’ in-house short-term assets. The growingly pessimistic local market called for a full-scale sell-off, but Benning is sticking to his guns for now and will likely aim at retooling further in the offseason. This one was a little bit of a head-scratcher – Vanek was arguably the most valuable and moveable asset the Canucks had, and the return was only Tyler Motte and Jussi Jokinen from the Columbus Blue Jackets. 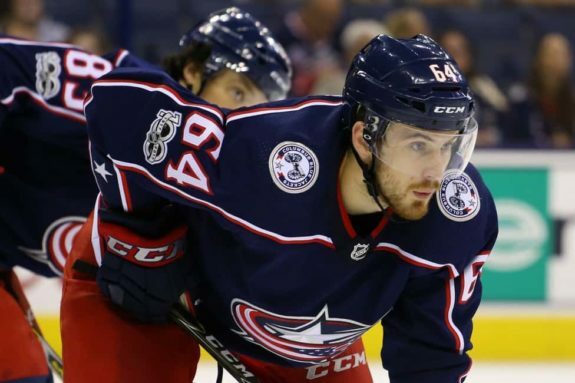 Motte was a high-scoring college player out of the University of Michigan and went to Columbus as a part of the Saad for Panarin swap this summer. He’s a speedy winger but has been bubble NHLer since breaking into the pro ranks. Then we have Jussi Jokinen, a player who has been waived twice this season and will head to his fifth team since the end of last season, with just a single goal in 2017-18. Jokinen was more of a throw-in player in this deal, so this should be viewed as more of a one for one swap. I don’t know about you, but I would have liked to see Benning try and maximize the return on Vanek by at least a second-round pick. That being said, this may have been the only deal on the table. That, or Canucks brass has confidence in Motte being a part of the Canucks future. In his afternoon press conference, Benning led off by saying “You can’t do something that is not available to you. I would have preferred to get picks. It wasn’t available to us”. Benning also praised Motte’s speed and called him “a good young player that our scouts like”. The Canucks GM was prodded even further about the lack of return and was asked “To clarify, there were no picks offered for Vanek over the course of the day?”, to which Benning responded, “That is true”. Benning – "I would have prefered to get picks, it wasn't available to us. We had to do the next best thing in finding young players who can add to our team. We're a younger faster team after today." 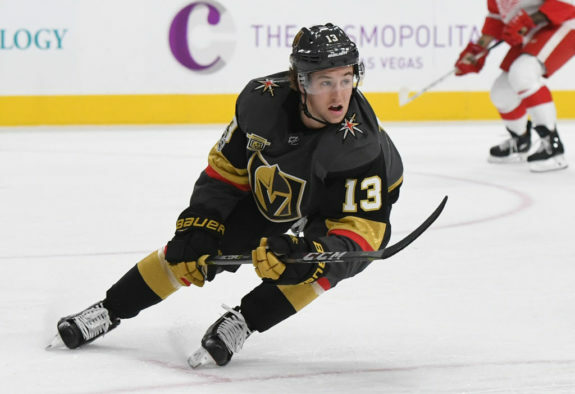 I like this deal going forward, Holm was a minor league defenseman with little value, and he fetched Brendan Leipsic, a gritty depth player in the Vegas Golden Knights system who has been itching for a good opportunity to play in the NHL full-time. Leipsic was trapped in Toronto’s system for years behind a log-jam of wingers and got picked up by Vegas in the expansion draft, but was again held out of the lineup because there was simply too many players of Leipsic’s ilk on the Golden Knights roster. It will be interesting to see if Leipsic can ‘break through the chains’ and become a permanent piece in Vancouver’s bottom-six group. He’s a Travis Green-type player – one would have to imagine he will get a good opportunity for the Canucks. Perhaps the bigger story here is what wasn’t done. Vancouver didn’t acquire a single draft pick, and other tradable assets such as Ben Hutton and Erik Gudbranson are still Vancouver Canucks – the latter being locked up to a three-year extension last week. Combine this with the fact that the return on Vanek was underwhelming (you can come to your own conclusions), and I’d give this deadline day a failing grade. That being said, the results are likely a product of circumstance, as the 2018 deadline saw rental players fetching far less than they have in the past due to the Martin Hanzal effect, so perhaps Benning was in the right in holding off until the off-season to revamp the organization. A better haul for Vanek would have been nice, but according to Benning, the market was simply not there, so he had to get the next best thing. All in all, Benning has his work cut out for himself this summer as the Canucks attempt to get back to relevancy.